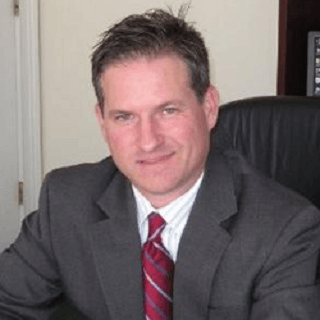 Richard F. Evins is an attorney with over 22 years of experience practicing primarily in the areas of commercial and business litigation, collection law, consumer credit and contract law. His offices are in Woodstock, Georgia, part of Metro Atlanta, and the firm handles legal matters statewide. Mr. Evins litigates a broad range of disputes including those related to commercial contracts, consumer law, business disputes, residential and commercial leases, small claims and general civil matters. He also defends consumers against the collection of medical bills, student loans, retail installment contracts, credit cards and other consumer debt. Mr. Evins practices in the Superior, State and Magistrate Courts of Georgia where he has handled bench trials and hearings and has performed as lead counsel in numerous jury trials. Mr. Evins is a member of the Creditor’s Rights section of the State Bar of Georgia and has given numerous presentations and seminars in the areas of health care collections, the Fair Debt Collection Practices Act, post-judgment collection remedies and has appeared as a guest panelist on the television program “The Layman’s Lawyer” on Public Broadcasting Atlanta. Prior to entering practice as a lawyer, Mr. Evins worked in the credit and collections industry. Mr. Evins holds a Doctor of Jurisprudence degree from John Marshall Law School in Atlanta, Georgia and a Bachelor of Arts degree in Psychology.